Hi guys, someone asked me how to find Netscaler IP address when they are new to the environment and doesn’t have any inventory information. 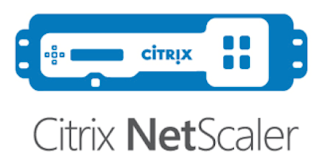 I know it’s basic but sometimes hard to find information if someone is new to the Citrix Netscalers. Guy who asked me this question is aware there that there is a Netscaler but he doesn't know it's details/ how to login. I am documenting these steps assuming that Netscaler is virtual appliance. Of course steps are same for Physical appliance, only difference with physical appliance is you need to go to Data center to access the Citrix Netscaler Console. 5. Type ifconfig to get all interfaces and respective IP details. 6. If output is as follows, first interface IP will be the management IP of the Netscaler. You use Netscaler management IP to manage Netscaler from browser. If you want to know the steps to reboot or reset the Netscaler appliance, refer to this post.